Bible Crossword emphasizes on finding Bible words in crumbled letters - a free crossword puzzles game which helps you learn Bible words with friends. Want to be the Bible Words Master with tons of fun? Let’s find crossword friends in easy spelling games. It is all free!How to play? 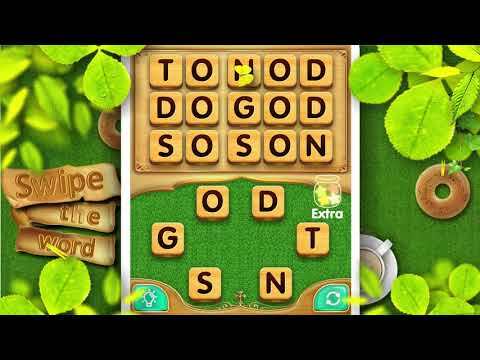 Swipe lett... see more Bible Crossword emphasizes on finding Bible words in crumbled letters - a free crossword puzzles game which helps you learn Bible words with friends. Want to be the Bible Words Master with tons of fun? Let’s find crossword friends in easy spelling games. It is all free! Need help? Taking a screenshot and ask your friends! The more words you find, the more fun it gets. Tease your brain with vocabulary builder - beat boredom and revolutionize miserable learning style. Sharpen your wit with Bible words now!